Thank you to Coach Roberts for helping me discover this great trick. 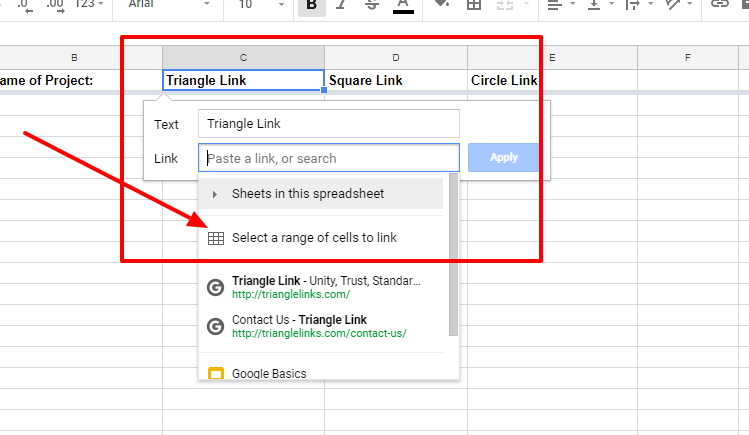 Coach Roberts was working on a spreadsheet for her parents to sign up with Google Sheets, and then we discovered this awesome linking option. When you want to link a range, tab, or cell, then you click on what you want to link first (the cell). Then you click on the hyperlink button (broken paper clip). 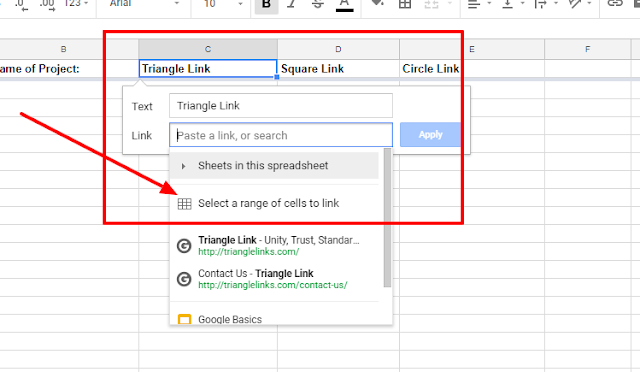 Then where it says link, you can connect to the tabs in your Sheet or you can click "Select a range of cells to link" option. Then it will let you highlight the range you want to link. Click okay in the box to link. This is helpful to link tabs, other cells, ranges, so students, parents, and colleagues can easily find tabs and ranges.